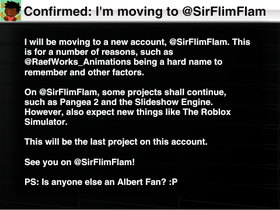 I have moved to @SirFlimFlam. [OLD STUDIO] Best of @RaefWorks_Animations!! !